Hey Scripting Guy! 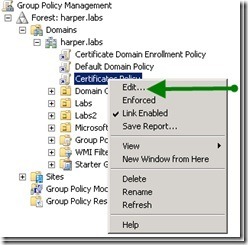 Will you give us the final steps in the step-by-step guide about how to use an existing Windows PKI installation to sign Windows PowerShell scripts, or were you just kidding yesterday? Microsoft Scripting Guy Ed Wilson here. 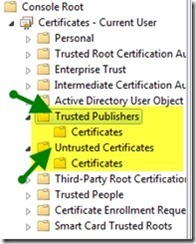 Just as we promised yesterday, we continue today with the final steps involved in Windows PKI to sign scripts. We go back to Ragnar Harper. 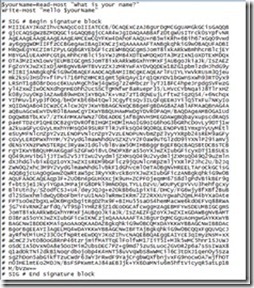 In this step we will be inside Windows PowerShell, and we will sign our script. For this purpose I have a simple script named demoscript.ps1. As you see, the status is valid, so the signing was successfully done. Please note that I recommend that you supply the TimeStampServer parameter. 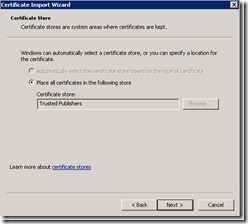 This will make sure the script works even though the certificate that signed it is expired. 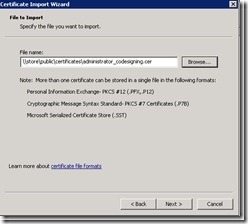 It will tell the system that the code signing certificate was valid at the time of signing. (Okay, I can imagine there are some situations where this might not be correct, but I also guess it will be good enough for most of us.) 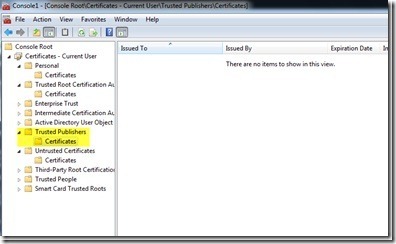 If you do not use the TimeStampServer parameter, the script will stop to work when the certificate used for signing expires. There are multiple sources for timestamping out there. Use one that suits you. 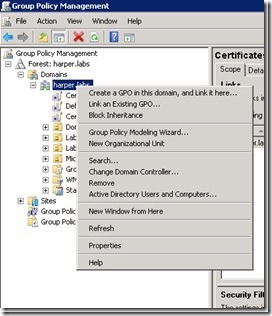 Wait for the Group Policy Editor to start, and then click Computer Configuration, click Policies, click Windows Settings, and then click Public Key Policies. 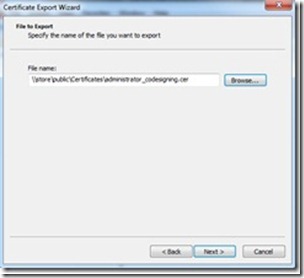 You are now ready to start the import. 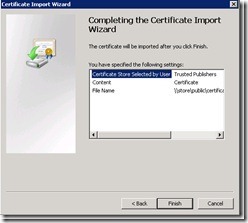 Right-click Trusted Publishers, and then click Import. 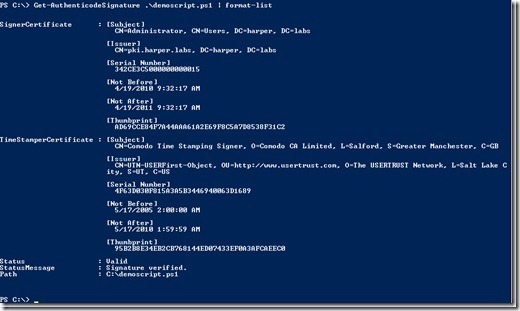 I hope this helps, and have fun with Windows PowerShell! 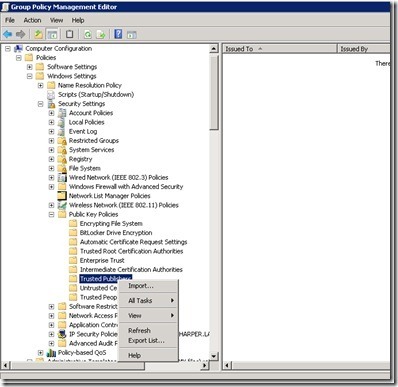 HR, that is all there is to using Windows PKI to sign Windows PowerShell scripts. This brings Guest Blogger Week to a close. Check with us tomorrow as we delve into the virtual mail bag for Quick-Hits Friday. If you want to know exactly what we will be looking at tomorrow, follow us on Twitter or Facebook. If you have any questions, send e-mail to us at scripter@microsoft.com, or post them on the Official Scripting Guys Forum. See you tomorrow. Until then, peace.